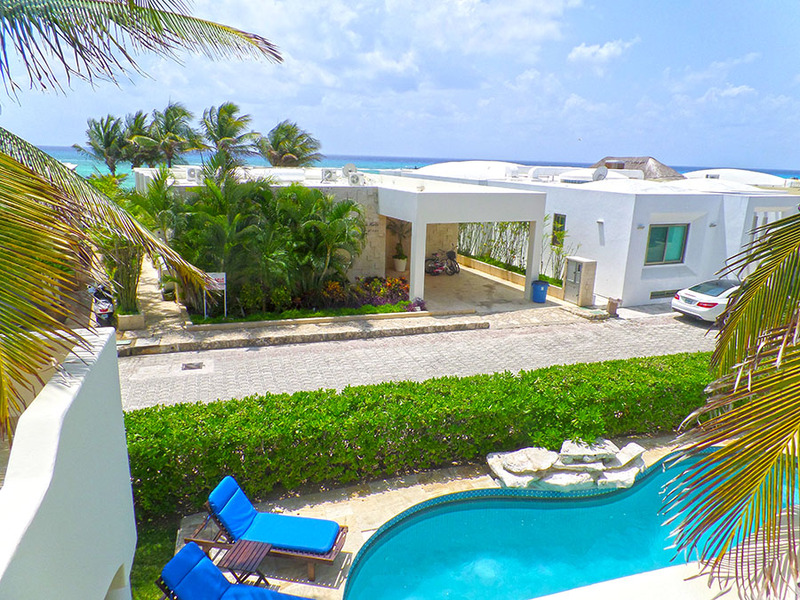 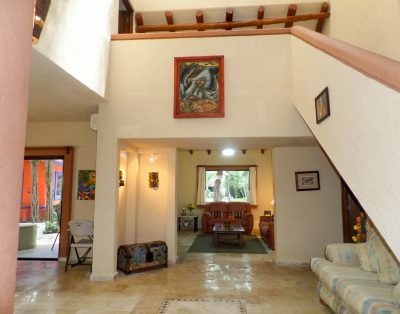 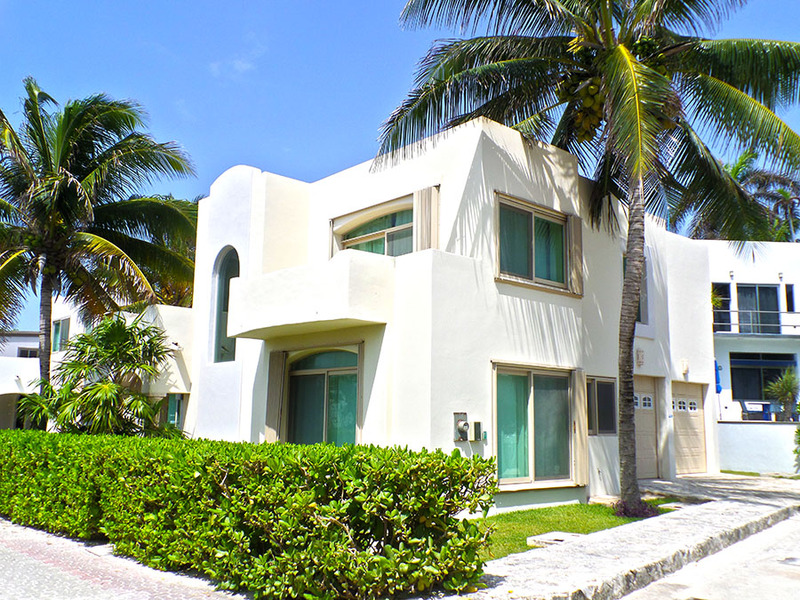 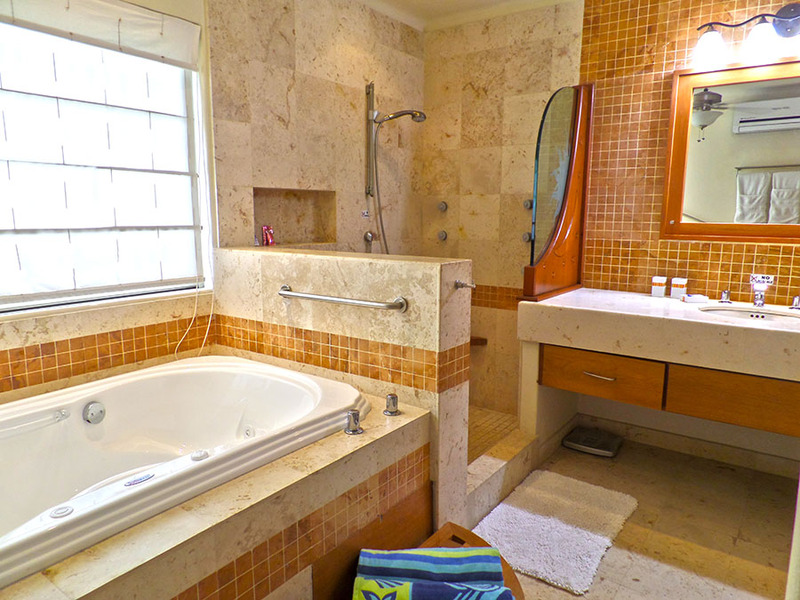 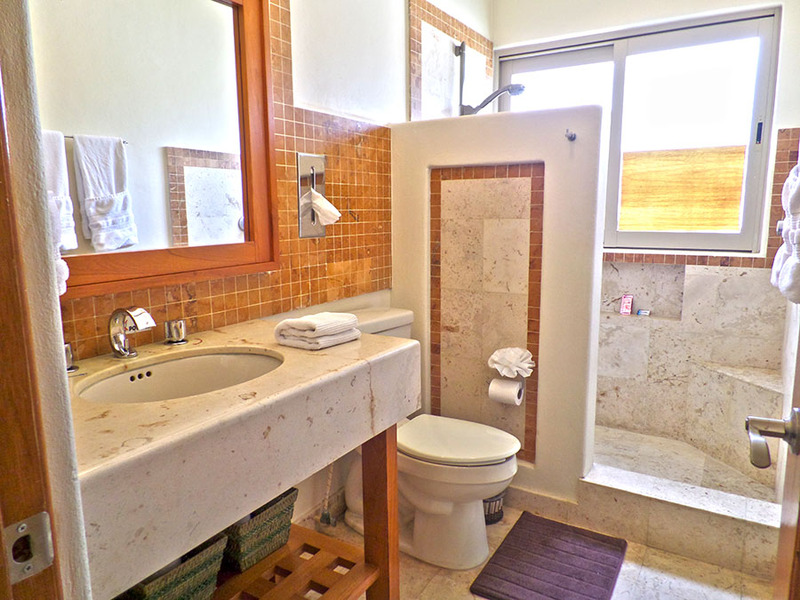 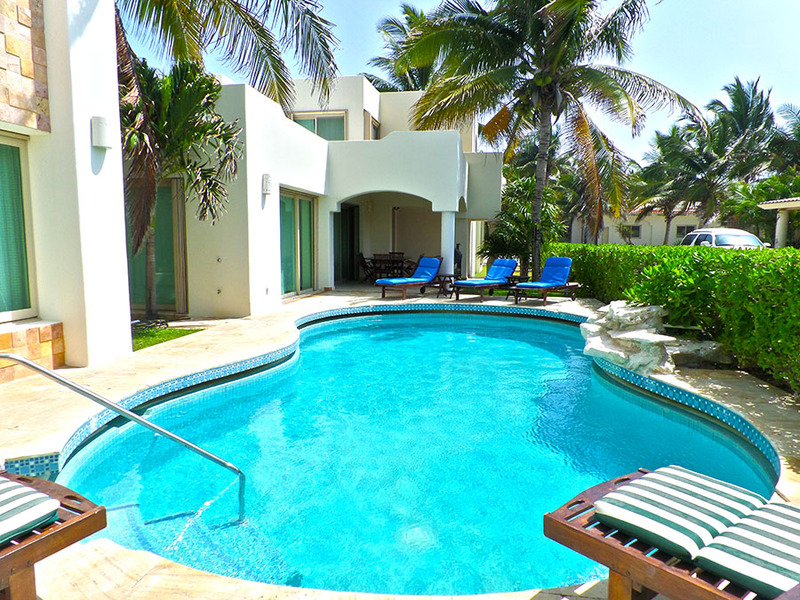 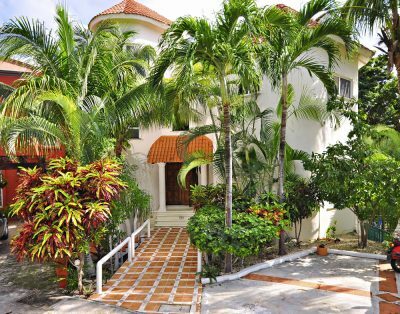 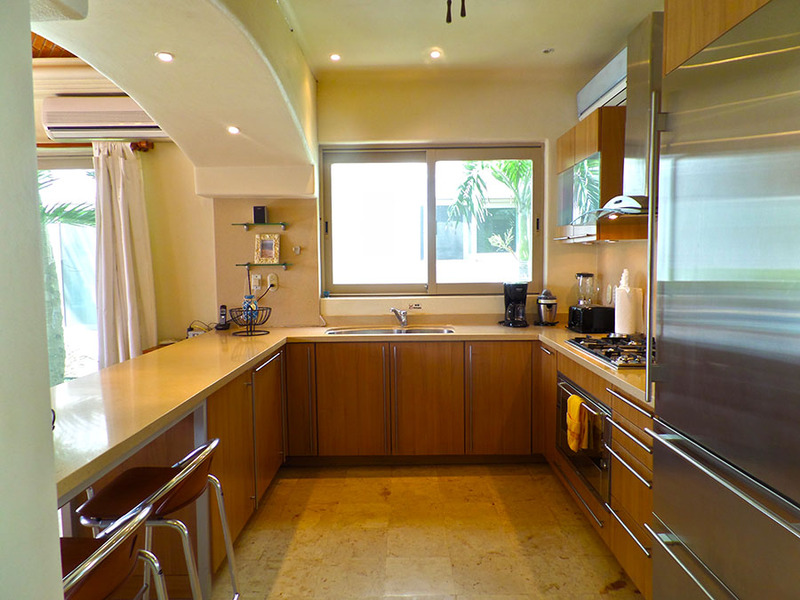 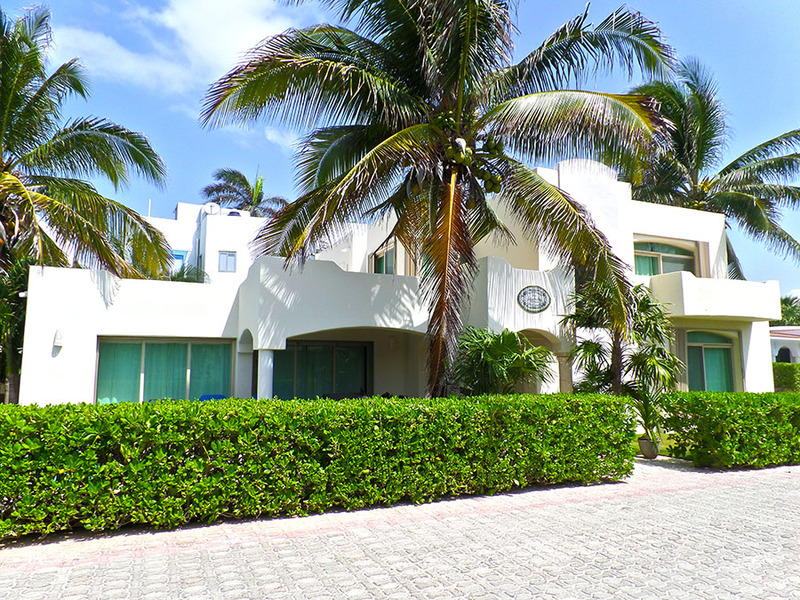 In the luxury gated community of Playacar Phase 1, just south of Playa del Carmen, you will find all the amenities you will need to explore and relax. 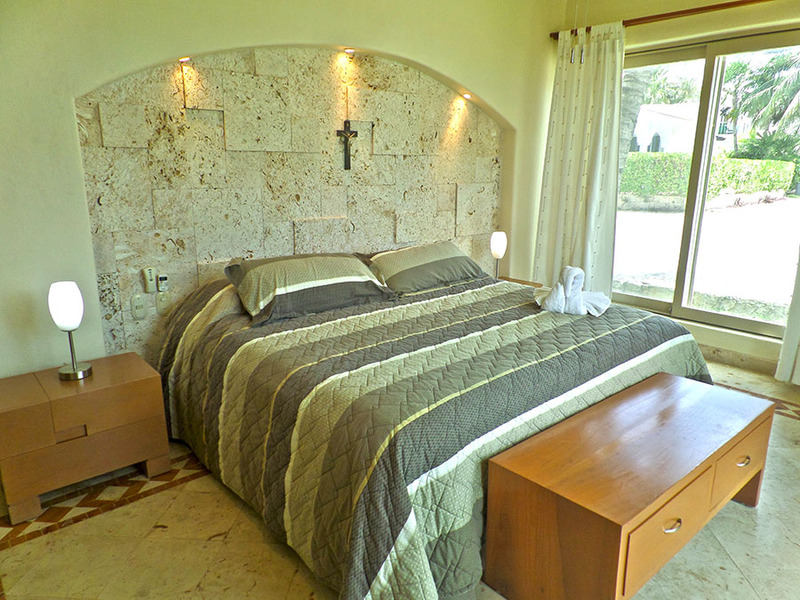 This villa accommodates up to 10 guests with its four graciously appointed bedrooms with 4 king-sized beds each with en-suite baths. 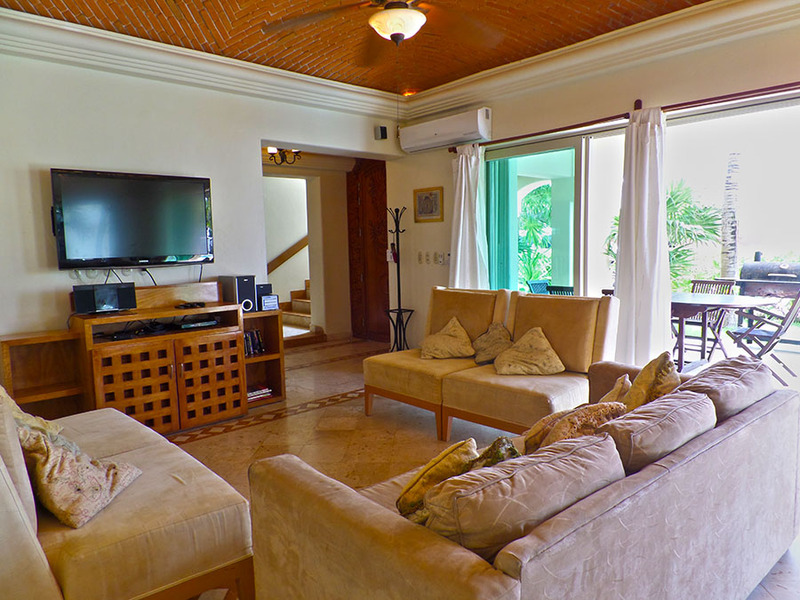 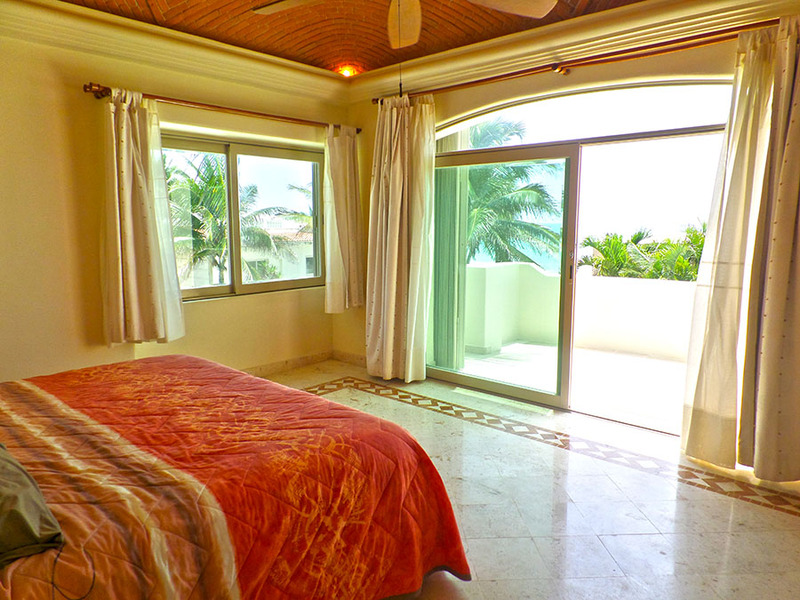 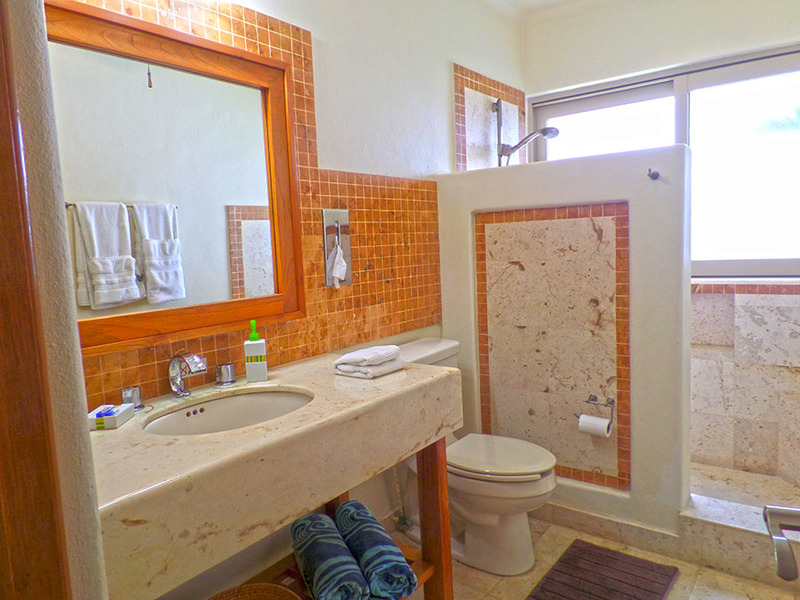 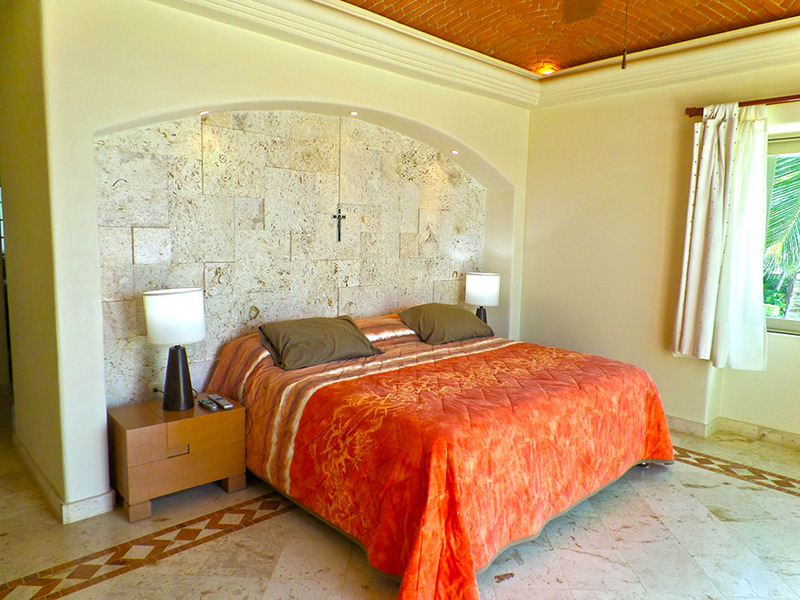 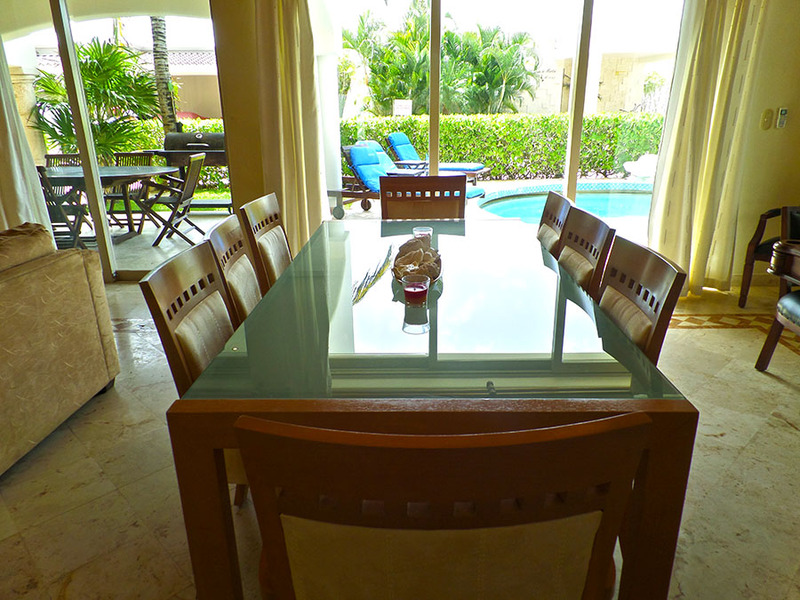 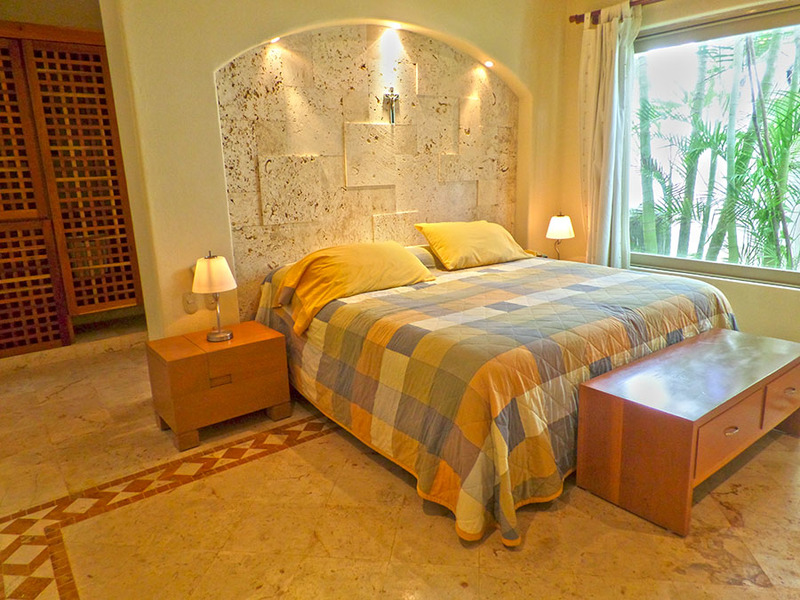 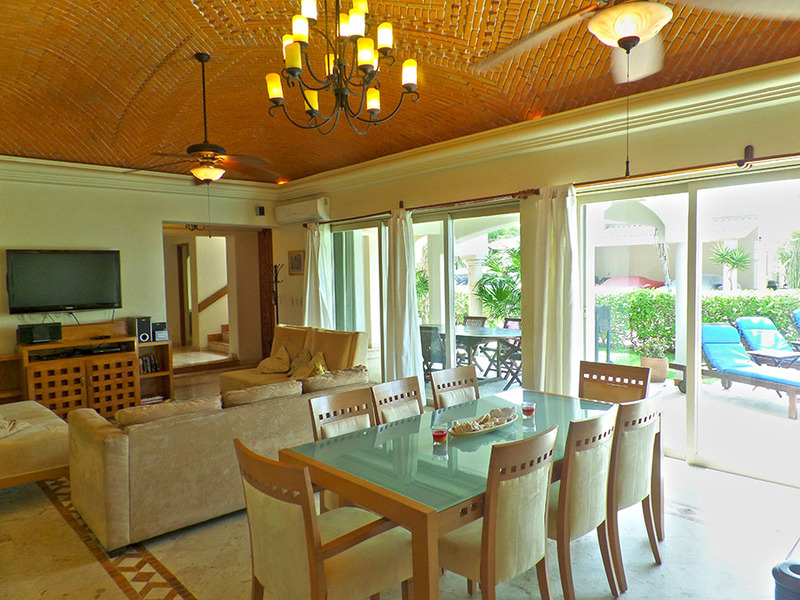 The king-sized master bedroom features a lovely furnished terrace with ocean view. 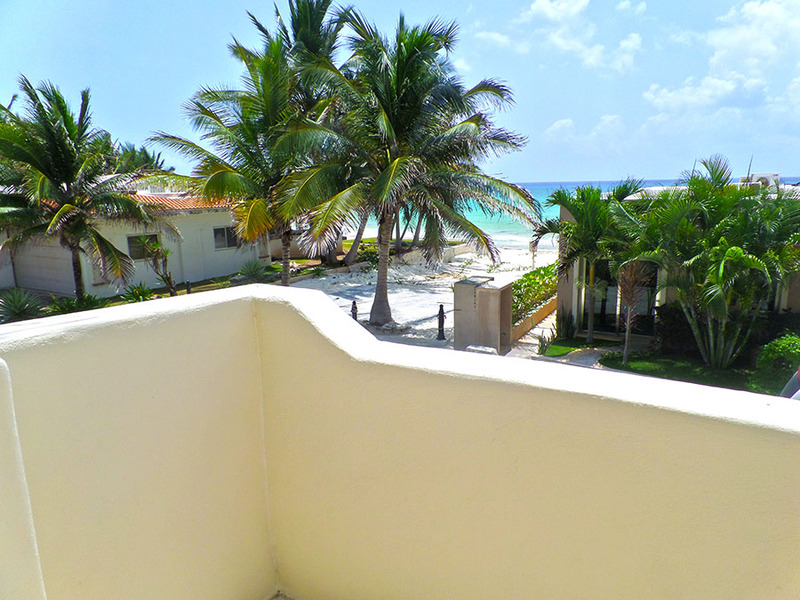 A sweet little second floor studio contains 1 queen sized sofa sleeper as well as an additional ocean-view terrace. 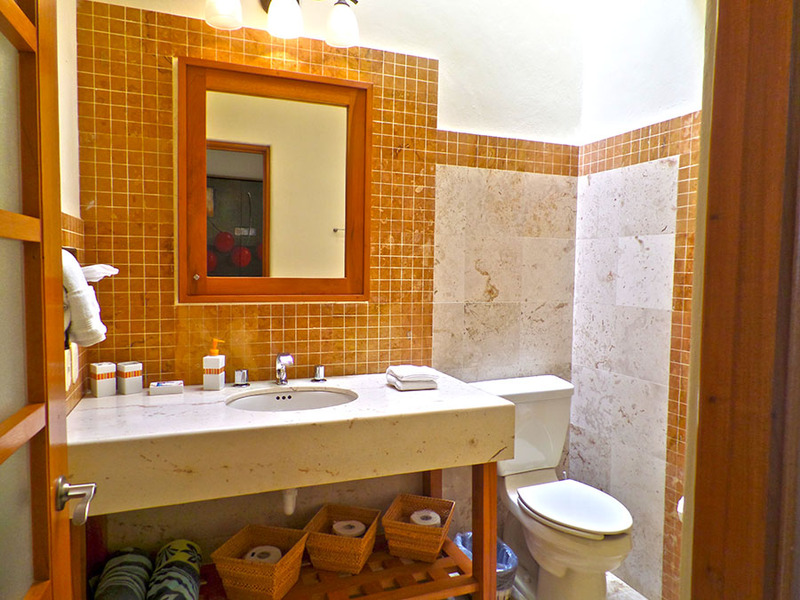 Plenty of closet space can be found, but if you’d like to pack light, there is a full size washer and dryer for your convenience. 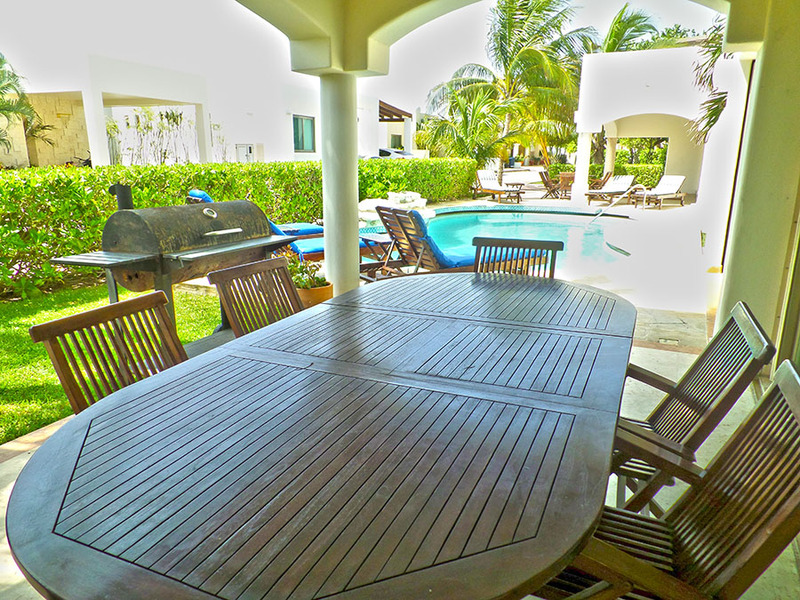 Outside you will find a generous dining table on the covered terrace which overlooks the pool and sun loungers, reserved exclusively for you and your guests. 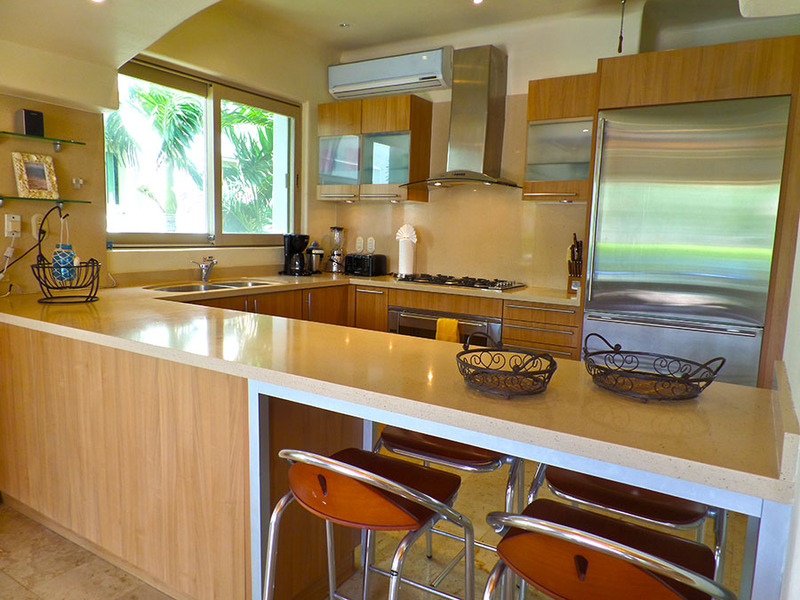 Move your cooking out doors to the gas grill…don’t forget to try grilling sliced pineapple for a fresh light Caribbean-style dessert! 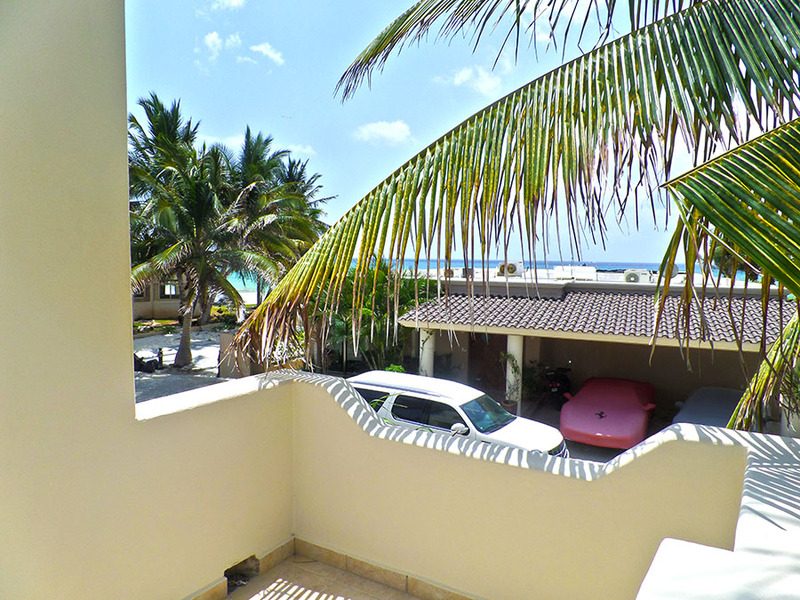 If you are traveling with a car, you will find two spacious covered parking spots as well.